March 30, 2013, marks the 37th annual commemoration of Land Day in Palestine when in 1976 Israeli military forces killed six Palestinians and wounded and arrested hundreds more during what began as nonviolent demonstrations. Protests in several Palestinian villages were in opposition to the Israeli government’s announcement of a plan to expropriate several thousand acres of land to build new settlements. Land Day has more recently become an international day of protest through Boycott, Divestment, and Sanctions (BDS). Each year, people around the world join in solidarity actions targeting companies operating in illegal Israeli settlements. We hope you will help us commemorate Land Day by educating about the Israeli company SodaStream that produces at home beverage carbonation systems. We know you’ve heard about SodaStream, but did you know that the company is located on occupied Palestinian land in an illegal settlement, in violation of international law? 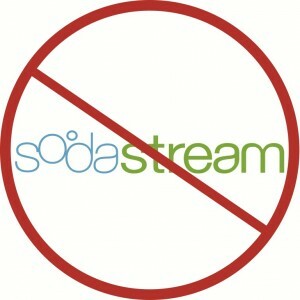 Your local SodaStream distributor might not know either! Follow this link for a template of a letter you can send or deliver to stores near you asking them to stop selling SodaStream products in your community! For those in the Seattle area March 30th, come out and join our friends and partners at Palestine Solidarity Committee-Seattle (PSC) for an afternoon of music, dance, and BDS action beginning at 1 pm at Westlake Park at 4th and Pine. Click here for more details. In other places, create your own gathering to creatively carry the word about SodaStream to local businesses supporting the settlement enterprise and Israeli occupation. The Rachel Corrie Foundation for peace and justice fully endorses the 2005 Palestinian civil society call for BDS. We continue to increase our BDS efforts locally, nationally, and internationally. If you are interested in getting involved, please let us know! Send inquiries to [email protected].